The Vought F-8 Crusader appeared in 1953 as a US Navy fighter. 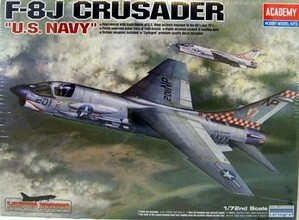 A special Crusader design feature was the variable incidence wing for low speeds. The wing could be tilted a couple of degrees as required. The first F8U-1 (later redesignated F-8A) planes were rather clean with a pointy nose and had a retractable rocket container launch system next to the four 20mm Colt canons and 2 Sidewinders. They had first a Vought ejection seat, but these were soon replaced with the Martin baker F5 seat. The F8U-1E (redesignated F-8B in 1962) was an improved F-8A with a better radar. 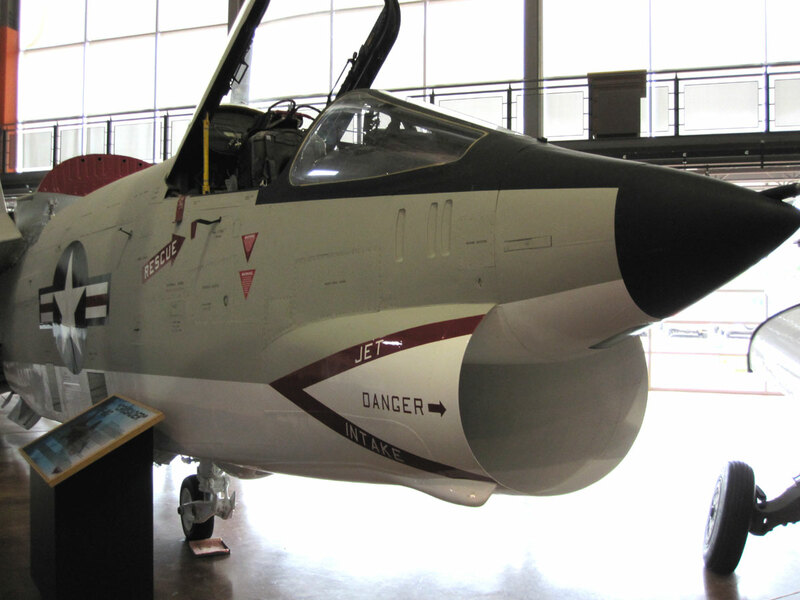 A special unarmed variant of the F-8 Crusader was used for reconnaissance. It had a new forward fuselage with flat sides with panels for the camera's and also a hump at the area forward of the wing for better aerodynamics through area ruling. The F8U-P1 (later RF-8A) was the first reconn version appearing in service around 1959. Some sources indidate that also the horizontal stabilizer was a bit smaller for lower drag. 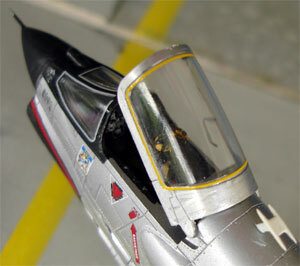 Also, the nose bullit is a bit smaller and comparable to the F-8C with a camera installed as well. The RF-8G appeared in 1965 and was a modernized RF-8A . With the availability around 1957 of the stronger P&W engine J57-P-16, more power was available for a next Crusader version. The extra power required additional rear fuselage strakes for stability, extra cooling scoop at the exhaust pipe and also system updates were made. The wing span was also slightly reduced. This F8U-2 (later redesignated F-8C) entered service around 1960. It could also carry 4 Sidewinder missiles on Y-shaped pylons on each fuselage side. The F8U-2N (redsignated F-8D) as a "night fighter" variant obtained a more powerfull radar in a large nose cone and a infrared scanner on the windshield. It had the J57-P-20 engine. 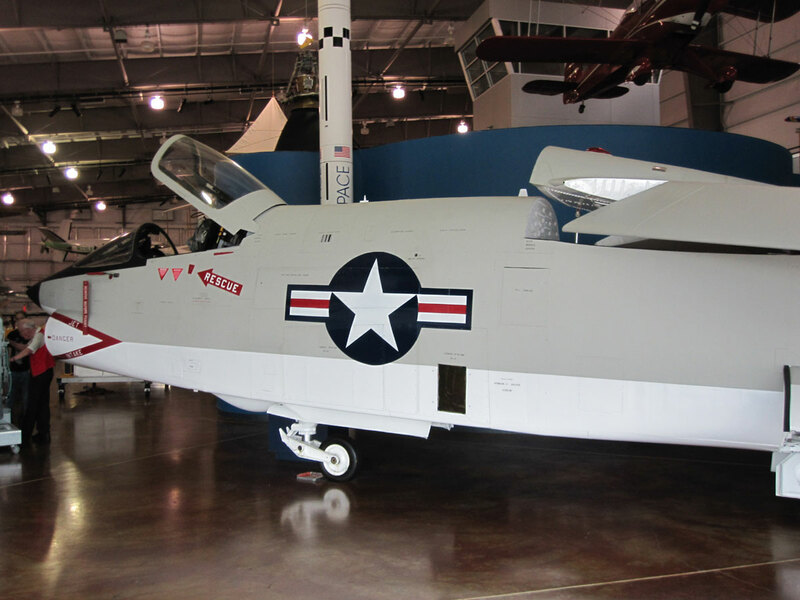 Later on, the F8U-2NE (later re-designated F-8E) variant was developed and appeared in 1962, with again system updates and with the larger radar nose of the F-8D. It had the J57-P-20A engine and could carry more stores under the wing as well with two underwing pylons. 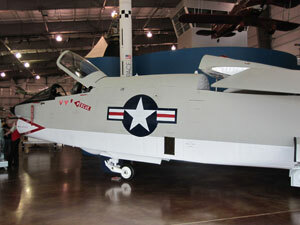 The wing hump was also now seen with system equipment below it for firing Bullpup missiles. 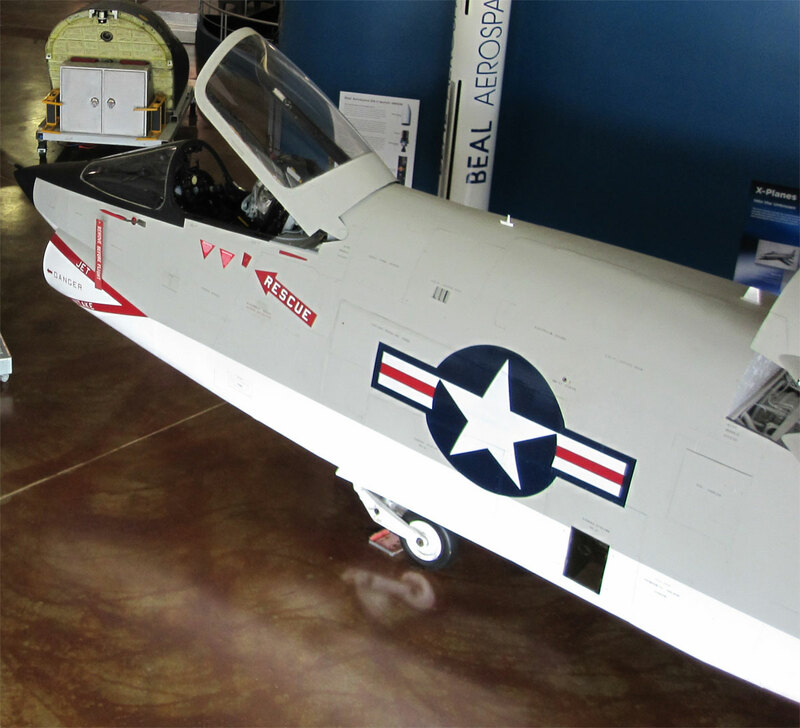 The F-8E saw extensive combat over Vietnam. The French Navy also needed carrier fighters so the F-8E was checked out in 1962. As the French carrier decks of Foch and Clemenceau was small, the Crusader got blown flaps, larger slats and larger stabilizer. They could also carry French missiles like the Matra and Magic. This F-8E(FN) version was delivered 1964 with 42 planes. In 1991 some modernization was done on 17 remaining planes and this version was known as the F-8P. The French Crusaders were replaced in 2000 by the Rafale M.
The US NAVY also wanted to benefit from the good characteristics of the French F-8E(FN) variant, so 136 American F-8E planes were modified to get also blown flaps, the larger stabilizer and the larger slats. This F-8E version was renamed as the F-8J and started entering service in 1968-1969. In 1977, the Philippines also acquired 35 ex US NAVY F-8H Crusaders. The F-8H had a strengthened airframe and was based on F-8D. The Philippine AF got 25 planes including spares entering service around 1979. They operated until about 1990. 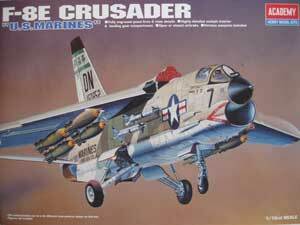 In 1/72 scale, there were many Crusader kits. Revell had a kit no. H-255 way back in 1967. 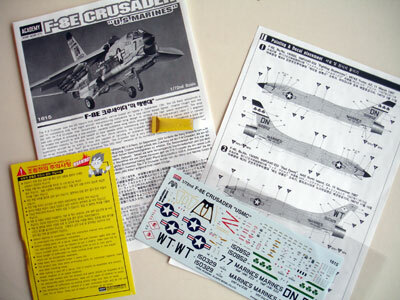 I am not sure about the Revell kit of F8U-2N, kit H-167 which apparently was 1/67 scale. I also had a very rare 1/48 kit from Aurora way back in 1966 with moving landing gear parts. Some bits are still in my spares box! 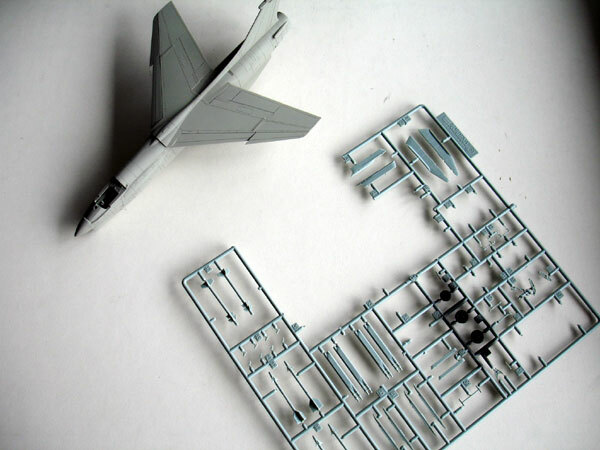 The 1/72 Fujimi F-8D kit had inaccurate outlines. 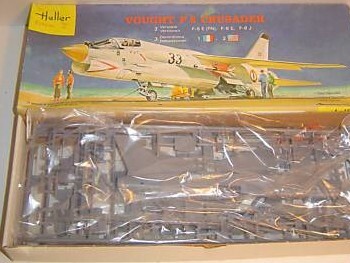 ESCI/Italeri kits (no.066 or 1230) of the F-8E, F-8E(FN), F-8J. Heller came with the F-8P and this were not bad at all. Than Hasegawa also came with a kit. The kit was very good at the time, although nowadays the Academy kits are even better with finer parts and recessed panellines. 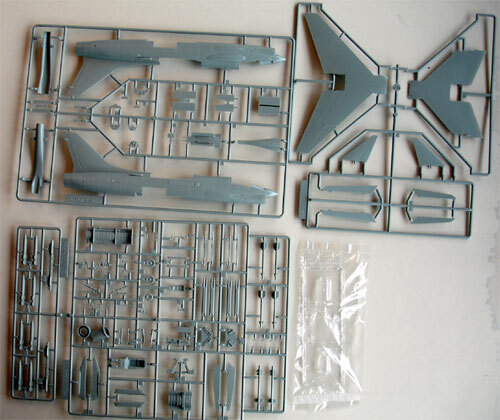 The 1/72 kit for a F-8E was issued around 1985 and has about 60 parts with stores comprising four Sidewinders and their Y shaped pylons. 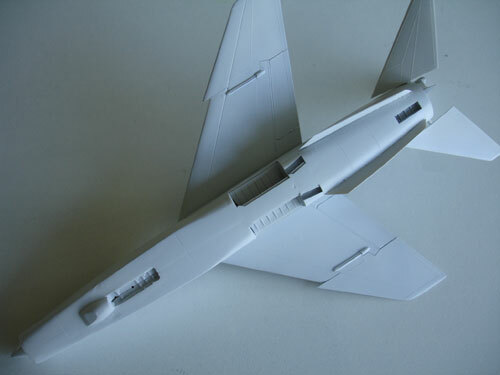 It has raised panellines and I believe this kit is for a "late" F-8E with the larger horizontal stabilizer. The initial kit no. 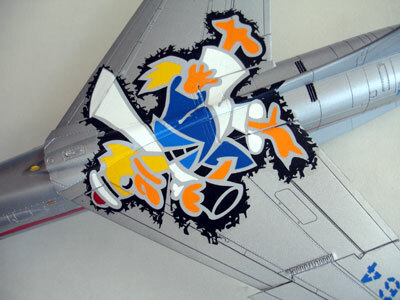 C09 had decals for VF-162 Hunters US NAVY, VMF (AW) 312 Checkerboards of US MARINES and decals for a French 12F plane. 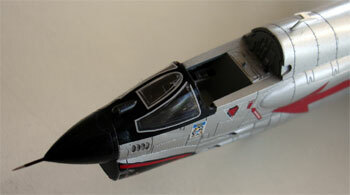 The same kit appeared later on also in many "special schemes" issued in different boxes such as for a F-8E(FN) no. CT10, DT116, C17, 0072 "CAG bird". Kit 00253 "Double Nuts" came with decals for VF-53 US NAVY plane coded "NF" from USS Hancock in year 1966, and a VF-211 US NAVY coded "NP" of year 1967. Kit 00643 had decals for the "Sundowners" but with the same kit parts. The Hasegawa kit is OK and can be made into a satisfactorily model. Kangnam dared to copy the Hasegawa kit. Conversion and detail sets were issued as well, such as from Airwaves, Maintrack and Aeroclub EJ003 for a MB Mk.5 seat. NoseJob set NJ-1 had a conversion for a F-8A nose. Wolfpack has a set for F-8E flaps. 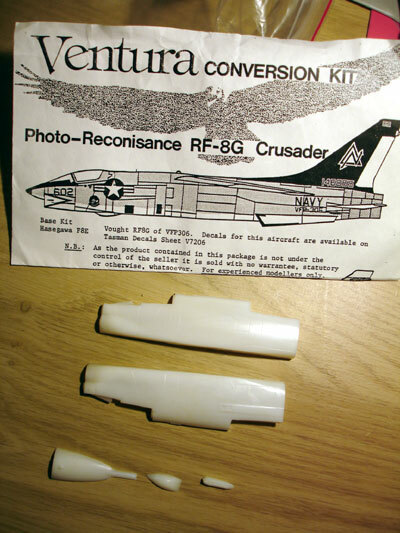 RF-8 conversion sets were made by Falcon, Airmodel, RVHP and Ventura. Sharkit even had a kit for the experimental supercritical winged Crusader and Airmodel and Maintrack had conversion sets for the only few two seater TF-8A planes made. The number of aftermarket decals sets is uncountable, with many appearing over the years for various schemes and airforces. 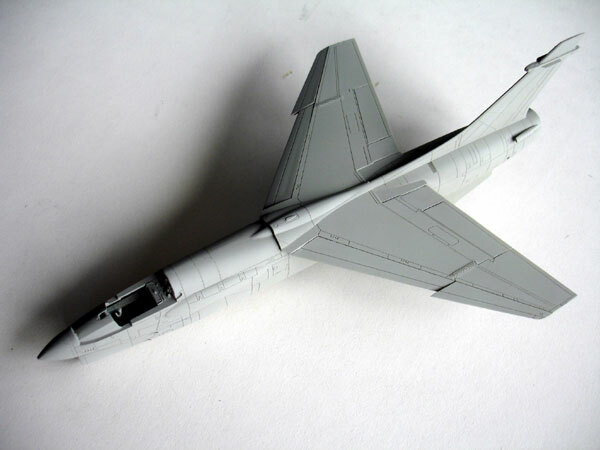 As I had been given a spare Hasegawa (see above) model by Henk, it was decided to do a conversion into RF-8G Reconn Crusader using the Ventura coversion set that was issued around 1997 and is well usable. The set has a couple of new parts for the forward fuselage with recessed panellines and some separate smaller fairings below the fuselage. 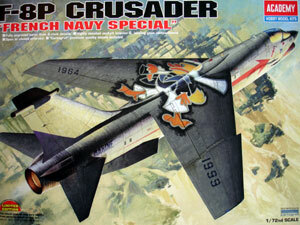 It was designed to be fitted to the 1/72 Hasegawa F-8 kit to create a RF-8G reconn Crusader. You can use any Hasegawa issued kit for that. The Ventura set has no decals although you could order these separately, more on that later. First carefully separate the Ventura parts from their thick sprues with a fine saw. Next, the two forward sections of the Hasegawa kit fuselage parts were sawed off with a razorsaw 1 mm in front of the main gear bays. 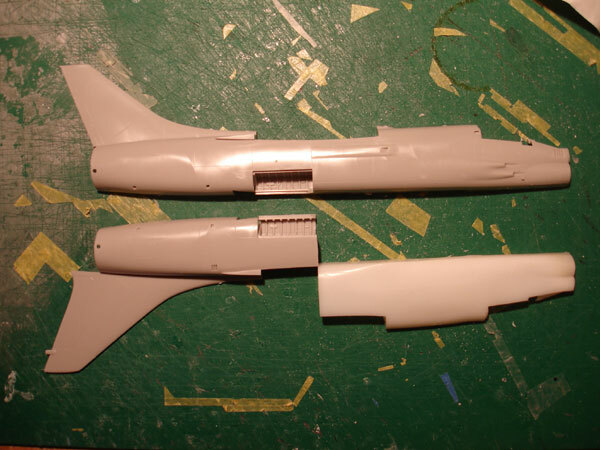 The Ventura parts and the Hasegawa rear fuselage were mated, gaps filled and sanded. The lower camera fairing below the forward fuselage needs some cutting when you want to have the doors opened. The two small tiny bits should be on the nose of the two nosegear doors. The camera windows are not open on the new parts, I opted to suggest the camera windows through decals later on. The Ventura parts with the intake is rather crude, I opted to put a cover in place because otherwise it would be very difficult to get a good look. 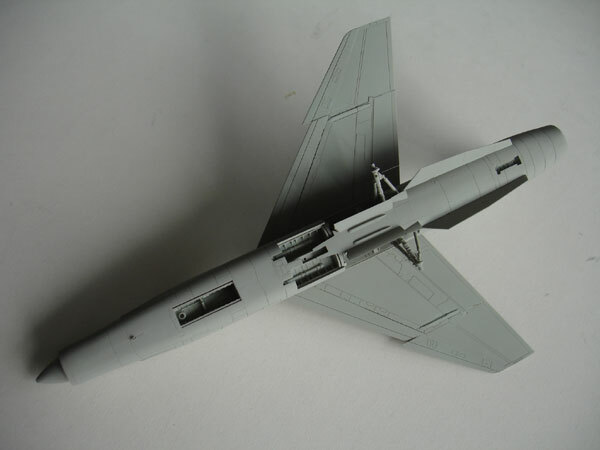 The nose bullit is smaller on the RF-8, but this is not catered for in the set. I simple sanded the Hasegawa kit part a bit smaller with a flat area at the lower surface where the camera is. 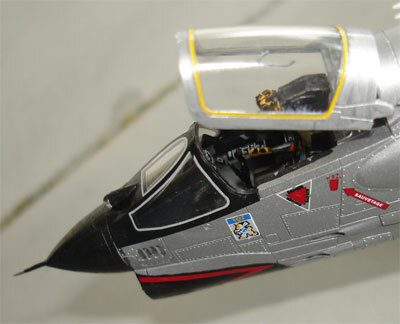 The cockpit parts of the kit are used as well with the canopy, although there is no IT sensor on the windscreen, so fill the hole in the clear windscreen. 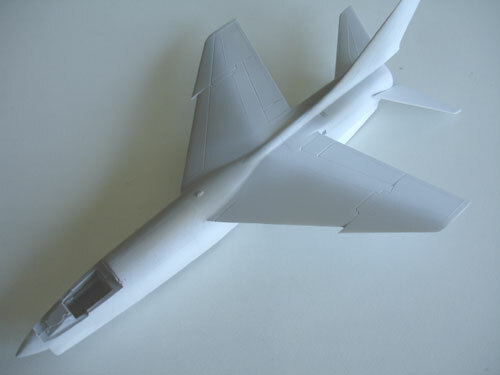 Next, the mid upper wing required the wing hump to be fitted as well as this was intended as a RF-8G model. 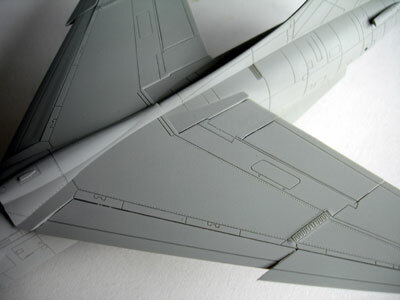 This needed some cutting as well in the Hasegawa wing. I opted not to raise the wing at an incidence but to keep it horizontal and flush with the fuselage. The main instrument panel on a RF-8G only has a small indicator on the left top and only an expert will till the difference. The main areas of the cockpit were painted medium grey with black details. 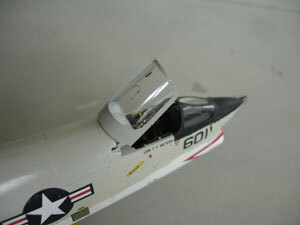 On the smaller nose, a tiny pitot tube is to be added (other F-8's have the pitot tube on the nose tip). The nose part no.14 of Hasegawa is to be used for the conversion, but I sanded the part a bit pointier with a flat surface for a nose window for the range finder? A overall grey coat was added with the airbrush to check for any flaws. Some sanding and filling was needed. 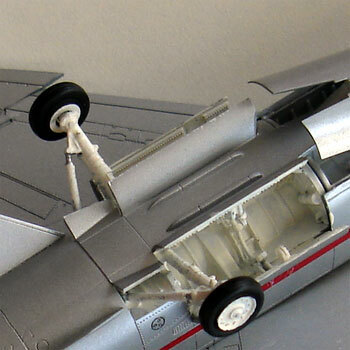 I needed to add some putty between the forward Ventura fuselage and the rear Hasegawa fuselage. 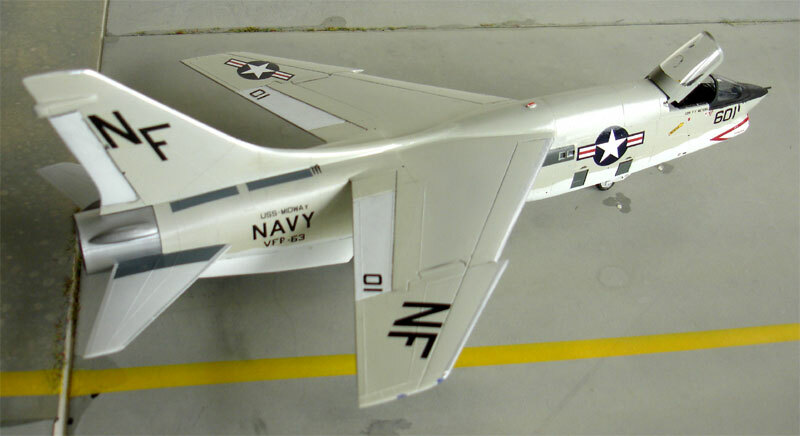 Now the model was ready to receive its standard US Navy gull grey / white paint scheme as normally, the RF-8G of the US Navy had the basic scheme of USN Gull Grey FS16440 and white lower surfaces FS16875 scheme. The nose gear doors also have tiny bit of the lower nose camera fairing on the RF-8G, so these were cut from the Ventura bit part and added. 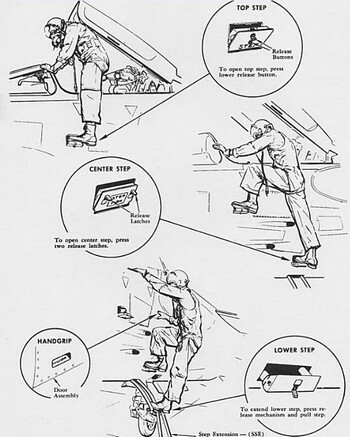 The kit landing gear is OK, but the gearbays could benefit from some extra detail with pressure pipes and tubing made from stretched sprue or thin wire.. 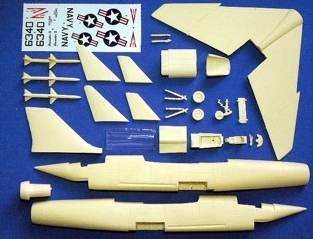 Looking at the horizontal stabilizers, I noticed that the Academy US Navy F-8E kit parts are smaller than the ones of the Hasegawa kit. I however decided not to switch these as I thought the difference is small. I did not have any decals for RF-8 reconn planes, so picking decals from various sources and the spare decal box was needed although major markings are standard US Navy. This took more time than anticipated as you need to search for many spare decals. 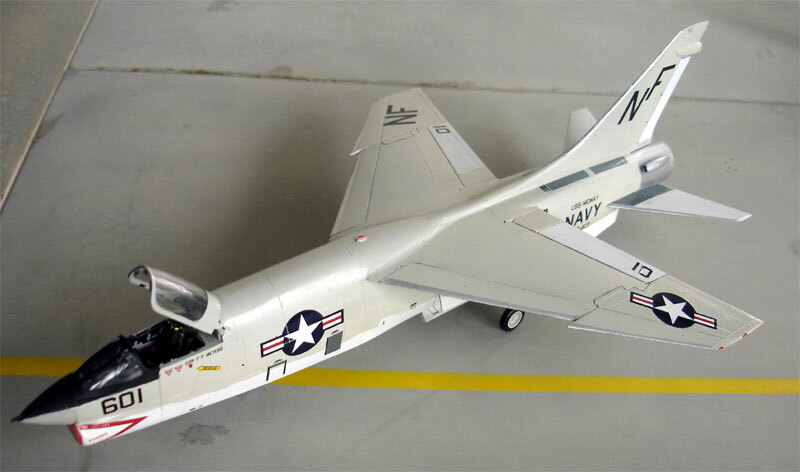 The model scheme selected was a simple one of VFP-63 squadron Detachment 3 from USS Midway of the US Navy as I found picture in the Squadron Signal book. The scheme is simple and not very colourful, but I had no choice here. Some markings were used here from the Microscale set 72-493. The camera windows were suggested with some spare dark grey decals. Pictures show that not always the camera windows are really seen. 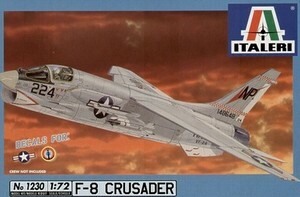 In 2004, Academy issued a new 1/72 kit of the F-8E Crusader (kitno. 1615). It is an excellent model with engraved panels, separate leading edge slats and flaps. Details are highly detailed and feature a nice cockpit, a good intake, nice gears and stores. The wing can be set tilted when desired. It seems to have the orginal small horizontal stabilizer. This F-8E kit has decal schemes options for US MARINES VMF(AW)-333 Shamrocks, MCAS Yuma, March 1967 or a plane for VMF(AW)-232 Red Devils, NAS North Island, November 1967. 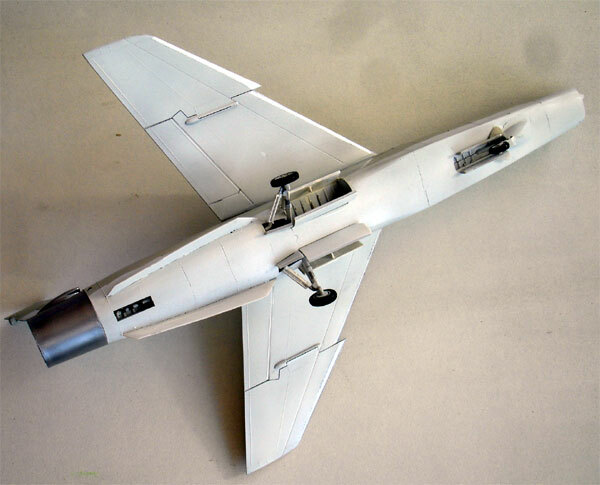 This F-8E kit come with Mk.82 Snakeyes, early AIM-9 Sidewinders or Zuni rocket pods. Not to be used parts are for French Crusader. In general, parts-fit is very good with hardly any filler needed and assembly is straight forward. Academy also issued a kit for a F-8J (kit.no 24412) for US NAVY plane; It has decals VF-24 "Checkertails" USS Handcock, August 1972; VF-24 "Checkertails" USS Handcock, August 1972; VF-194, "Red Lightnings", USS Oriskany, March 1976 and also October 1970. 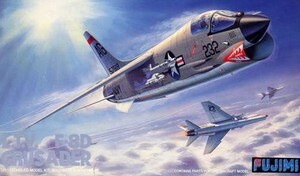 Another version issued by Academy was kitno 12407 for the F-8P which is a modernized F-8E(FN). 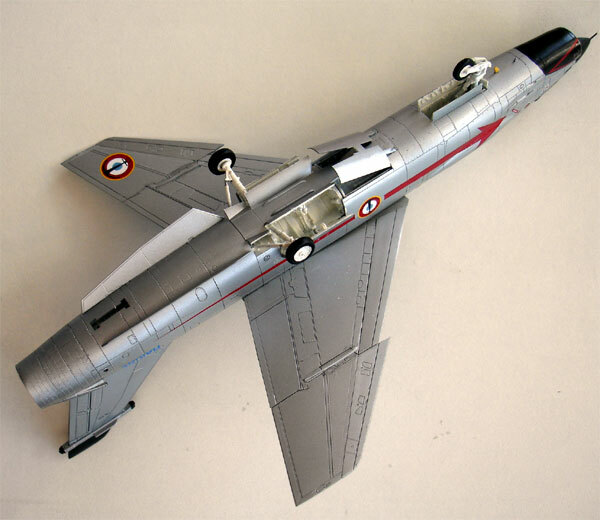 The F-8E(FN) was an Crusader version for the French Navy Aeronavale with blown flaps, larger leading slats and also a larger horizontal stabilizer. The modernized version is the F-8P but is similar externally to the F-8E(FN) it seems. The seat was changed to the Martin-Baker Mk.7 (an improved version of the F5 seat). These are all incorporated in this Academy kit although parts are similarly numbered with US Navy kit, the parts differ between the two kits. For the F-8E(FN), also two Magic missiles are included. The Academy kit seat looks like a F7 seat. 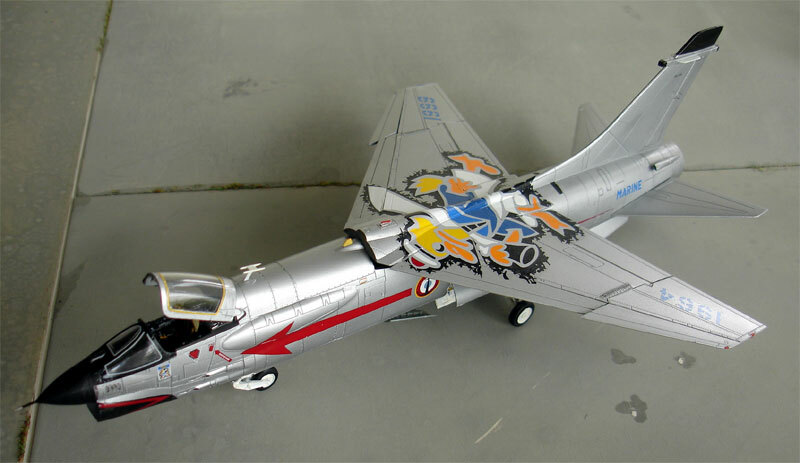 This F-8P kit has decals for a special "last flight" French scheme with a large Duck cartoon on top of the wing. This plane is in an overall painted metal coat with some black panels. Also you get decals for 11, 12F esquadrons. 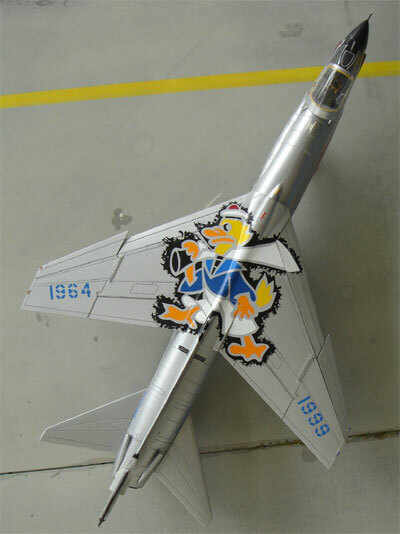 The F-8P with the Duck emblem was made as model straight out of the box. 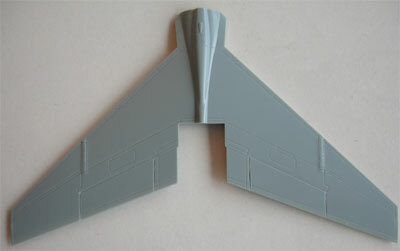 The upper wing is a one piece affair, so if you want folded wings you need to make cuts with a razorsaw. In general, parts-fit is very good with hardly any filler needed and assembly is straight forward. Starting with the cockpit, next the fuselage and so on. Some parts were "pre-painted" before assembly. The intake parts were for example sprayed white. 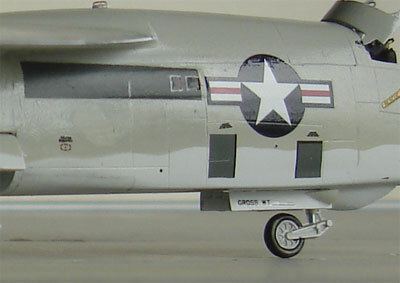 wing detail, note the large slats for the F-8E(FN). Some panels were hand painted black for this scheme. After adding a few coats of Johnson Future gloss, it was time for decalling. the decals for the white windshield edges are very nicely done and are in the kit. The infra sensor on the windshield required removing its location stub to fit. The gear doors are not separate, as Academy assumes we all build the models gear down. Cutting loose the doors is no problem however if you want to make the model in flight. (ooops.... you can see on the picture I forgot to remove the two fairings between the doors on this French plane). 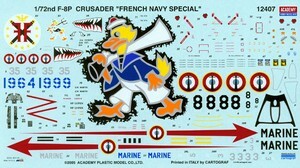 Unfortunately the Duck decal in the kit is too large. I had to make 3 times cuts in the decal and remove say three 1 mm sections to make it fit. The cuts will distort a bit the appearance, but still the result looks OK.
Decal application was with the help of lots of DACO decal solvent for the "Duck". One Academy kit still in the stack.... to be continued in the future.